1 NVR PC Tablet with Quad-Core Intel Processor delivering more features, better performance and CCTV live-view touch screen. Cloud CCTV NVR T1000 Solution is an all-inclusive Cloud NVR & CCTV solution. It integrates an NVR tablet running CameraFTP VSS software, 1 to 6 VGA (640x480) indoor cameras or HD 720P outdoor cameras, and one Wireless-N 300Mbps Access Point with CameraFTP's Cloud recording and surveillance service. The indoor cameras are preconfigured to connect with the NVR tablet via the Wireless AP. 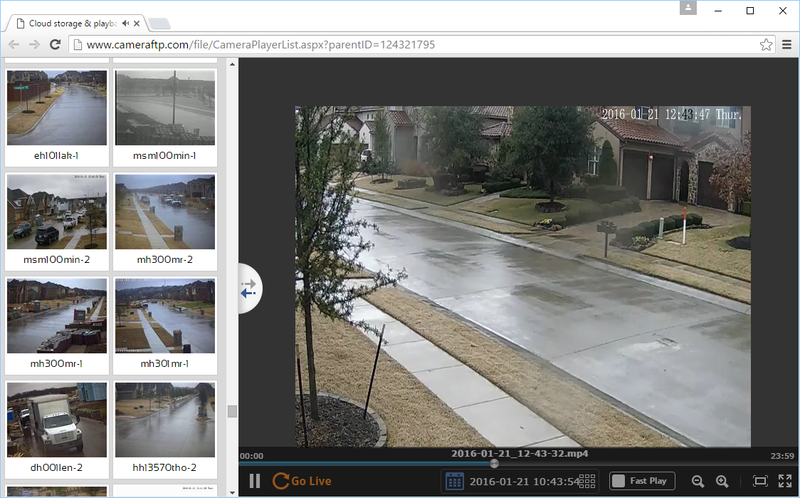 The VSS software on the NVR tablet encodes the video stream into highly efficient H.264-based video clips and uploads them to CameraFTP cloud. The outdoor 720P cameras are physically connected to the WiFi AP through an Ethernet cable and PoE Injector/Splitter. Power on your tablet. You need to press and hold the power button until you see the device is booting up, then release the power button. After it boots, it will automatically launch and log on to CameraFTP VSS software. The VSS software is responsible for encoding the video stream into highly efficient H.264-based MP4 clips and upload them to the cloud. You shall never turn off your NVR tablet or quit VSS unless you really want to stop recording. You can watch live views on the NVR tablet. The tablet can also connect to an external monitor / TV via Miracast. If your monitor / TV does not support Miracast, you can order a Miracast dongle. Please note T1000 can be preconfigured to upload when a motion is detected or upload continuously. If you don't see any videos, please walk before the camera. CameraFTP will buffer the uploaded data for up to 1 minute, so it might take 1 to 2 minutes for the video to show up. You can easily move the wireless indoor cameras and tablet around without needing to redo the cabling. 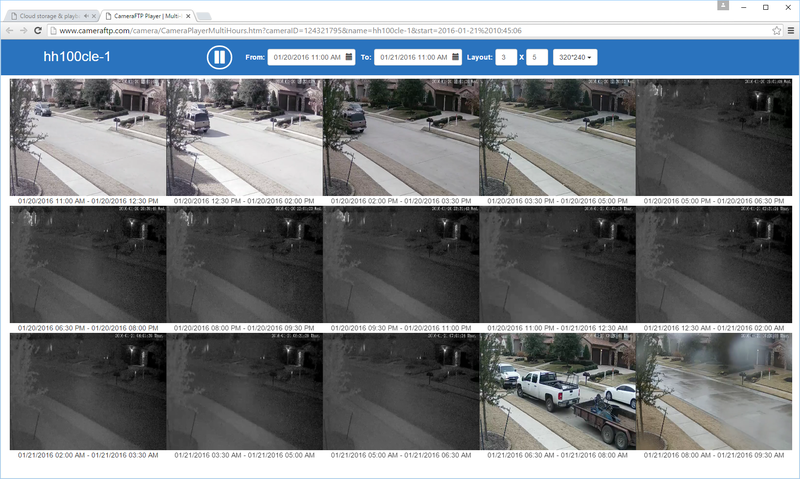 The outdoor cameras use PoE, making it easy and safe to wire as you don't need to wire power cable. Cloud CCTV NVR T1000 Solution combines the advantages of an NVR Tablet PC with Quad-core Intel CPU and touch screen, wireless indoor / PoE outdoor cameras, dedicated 300Mbps Wi-Fi AP, CameraFTP VSS software and cloud service, it offers far more features than other DVRs. CCTV NVR T1000 is a bundled solution. Most features require an active CameraFTP subscription. This being said, the bundled devices are standard devices. It is possible for you to reconfigure the devices for other purposes. If you want to add a camera to CameraFTP VSS, you can do so by manually adding a new IP camera to VSS. You must also order a new camera license on www.CameraFTP.com. Alternatively, you can contact CameraFTP support for more detailed instructions. The maximum number of IP cameras for CCTV NVR T1000 is dependent on your subscription parameters. CameraFTP CCTV NVR T1000 is a bundled solution, which is different from a conventional system purchased from a single manufacturer.